The Dallas Screenwriters Association (DSA) is excited to announce the inaugural ScriptsLIVE! 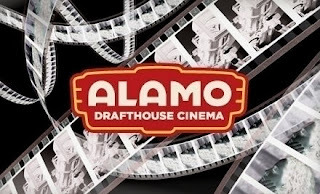 event February 12 at 7 pm hosted by the Alamo Drafthouse Cinema – Richardson and feature a reading of the perennial favorite, WHEN HARRY MET SALLY. ScriptsLIVE! is a dramatic reading of a classic screenplay in front of a live audience. The actors, seated in director’s chairs, will present the material with a fresh read providing the audience with a new take of a popular film. Behind the cast of celebrity guests and local actors will be projected establishing shots to set the scene. "We're super excited to not only be partnering with the Dallas Screenwriter's Association but to have Alamo be the setting for such a great concept in ScriptsLIVE! Similar to what Jason Reitman has done in LA with his now famous live script readings, I think ScriptsLIVE! will be a fun way for both budding screenwriters and movie lovers in general to be exposed to some of the most classic films scripts of all time in a whole new, fun way!" said James Wallace, Alamo DFW, creative manager. WHEN HARRY MET SALLY written by Nora Ephron (with additional credit to Rob Reiner and Andrew Scheinman) is considered one of the classic romantic comedy screenplays of all time. The script is ranked number 40 on the Writers Guild of America, West “101 Greatest Screenplays.” It was selected by the DSA to launch the ScriptsLIVE! event because Nora Ephron was a superb writer that all aspiring screenwriters can learn from as well as the fact that the film is highly entertaining for both men and women. Pair that with Valentine’s Day, which is only a few days later, and you have a match not even eHarmony.com could have arranged. Based on the popular Script Read events produced by Jason Rietman at the LCMA in Los Angeles, the DSA is launching this new program as a way to educate people about the art and craft of screenwriting while also entertaining them. The majority of the actors involved have been cast from the large local pool of talent that lives and works in Dallas. Fort Worth. The role of Sally will be read by Cooper Harris (MY FUNNY VALENTINE, daytime dramas: “The Young and The Restless,” and “As the World Turns”) while the role of Harry will be read by Dallas’ own funny man, Bryan Massey (Oliver Stone’s W, YEAR ONE, MAD MONEY). The supporting roles of Marie and Jess (originally played by Carrie Fisher and Bruno Kirby respectively) are being read by Adam Litwin and Sarah Adams. Both actors have performed in television commercials and web series. Giovannie Cruz (LOVE LAND, 8 DAYS) and Chase Austin (Discovery Channel’s “Unusual Suspects,” THE VIRTUOSO) will read the secondary females and males roles, respectively. And the special vignette couples will be read by Elizabeth Dukes Melancon (TAKE THE SPOTLIGHT, CRY) and Troy Randal Smith (S/A/T/X, FAISAL GOES WEST) where they are tasked to bring to life a mixed variety of married couples throughout the reading. New ScriptsLIVE! events will be held every other month, always on the second Wednesday of the month. Future screenplays may include TOY STORY, GROUNDHOG DAY, BACK TO THE FUTURE and more. The Dallas Screenwriters Association is a non-profit organization that serves the needs of the Dallas/Fort Worth screenwriting community. The DSA provides monthly meetings featuring some of the best guest speakers in the industry, scene readings, workshops, seminars, networking opportunities and much more. Our mission is to educate and encourage individuals in the art, craft, and business of screenwriting and its application in the entertainment industry and to promote communication among the members of the DSA and trade publications, trade associations, industry professionals, and organizations.